Good morning all, it's still sunny but boy am I loving the Fall colors again! There's a bunch of them sitting on my desk already, waiting for me to wear them again =) It's almost like I have a whole new stash, so much polish to rediscover! 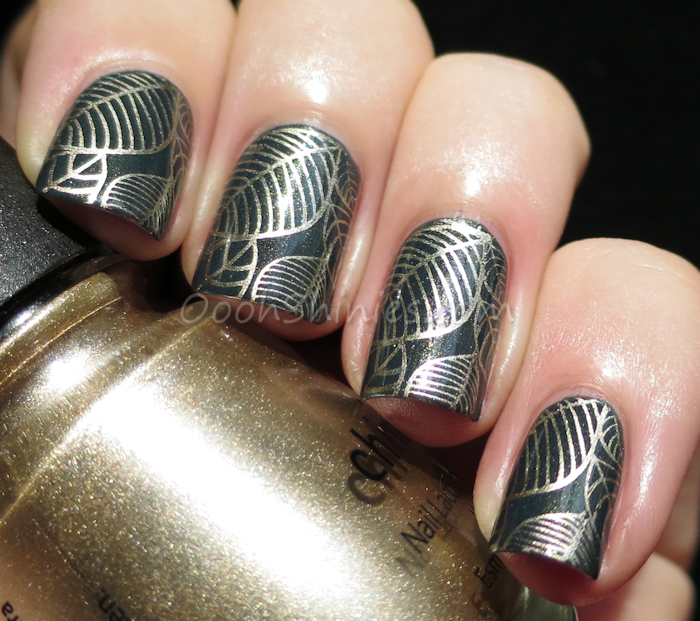 ♥ For this mani I used a base with a subtle golden shimmer, and went with a matching stamping polish. 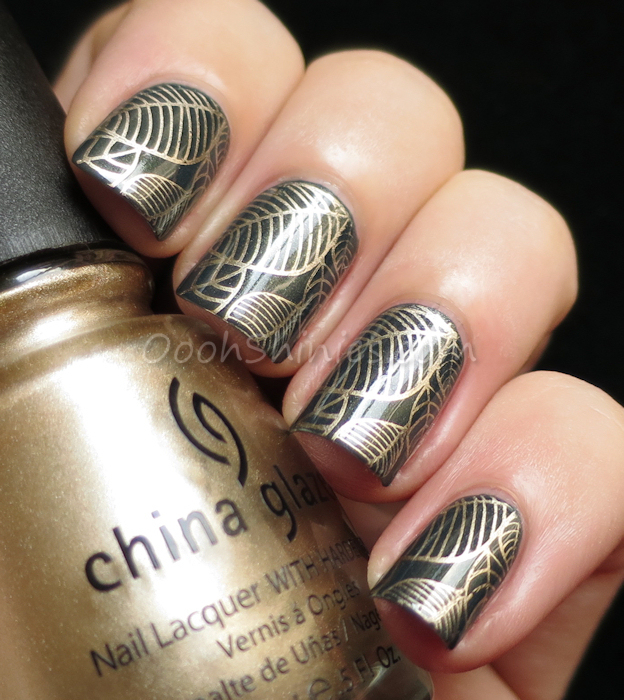 Catrice Squeeze Me with China Glaze 2030 and Bundle Monster plate BM-023. Hope you like it :) Have a great weekend and take care!